a vibrant restaurant across from Kits beach close to Vancouver. The patio looks right at the beach and water which was just brilliant. The inside of the restaurant was busy, and a great energetic environment. We asked the waitress what they were “known” for and the answer was bountiful…. So many items. 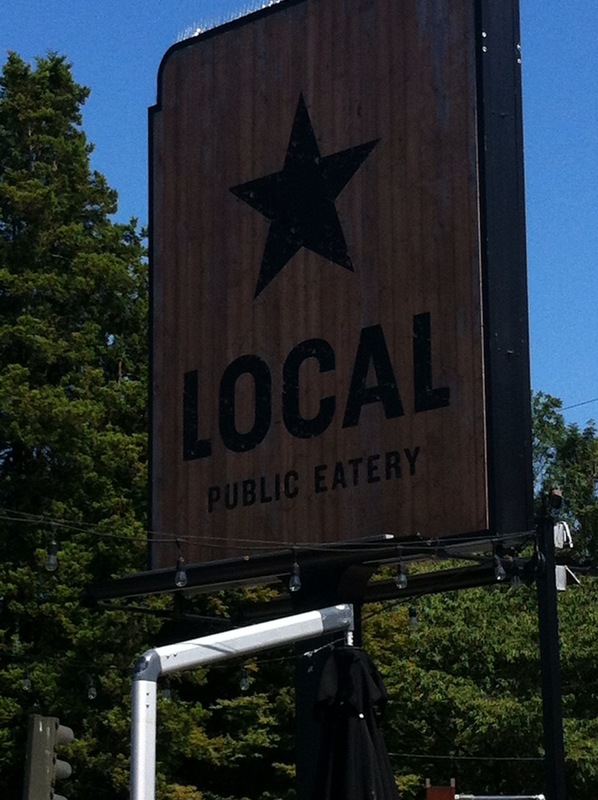 burgers seemed popular with house made buns, nachos, salads, sandwiches …… What to have? We ordered a seared tuna club house with a salad. The tuna was seared perfectly and fresh. 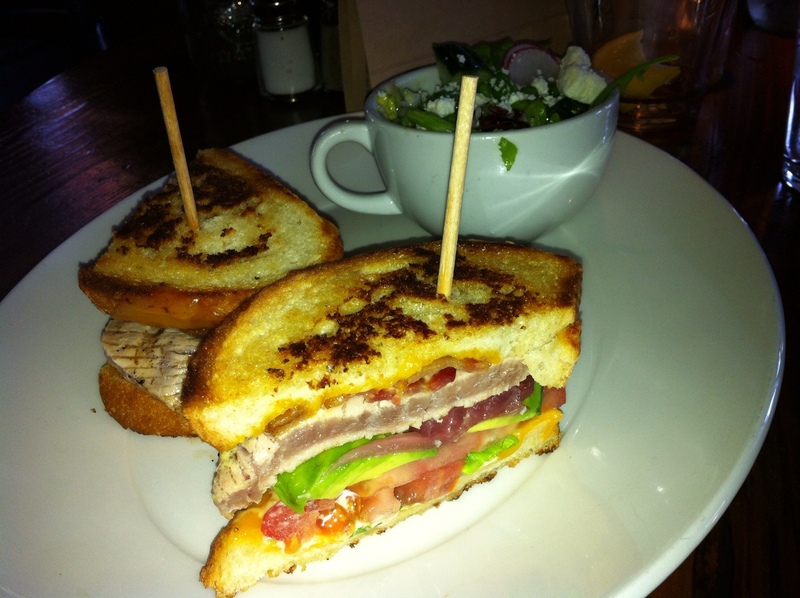 It went just right with the avocado, tomato, smoked bacon and melted cheddar….. This is a must try if you drop in. Daily baked buns and order it just the way you like it. 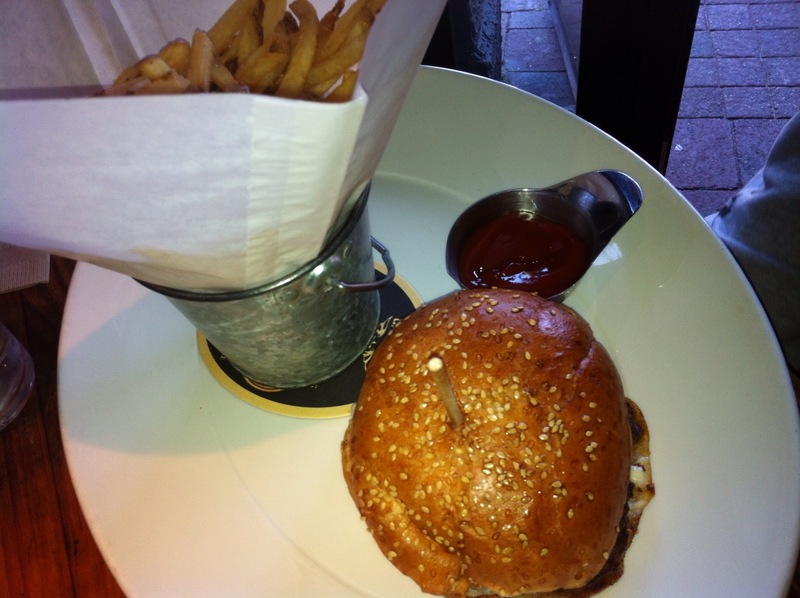 Served with shoestring fries…. Very yummy. The service was great, friendly and helpful which is good for first timers to help navigate the nice size of offerings. The Only thing I can see that may have raised an eyebrow was over hearing and seeing some of the staff talking to each about their tables…. “my table said to me!” etc… This Is really something better left to be discussed behind closed doors if you must. Things can happen to the best of us and mistakes happen on either side…it’s how we handle it is what makes the difference. All in all this is a great spot to grab a bite and a drink or hang out with friends ad have a good time! I would go back as the experience was overall positive. Posted on August 15, 2012, in great vancouver spot and tagged Busy fun spot. Bookmark the permalink. 1 Comment.